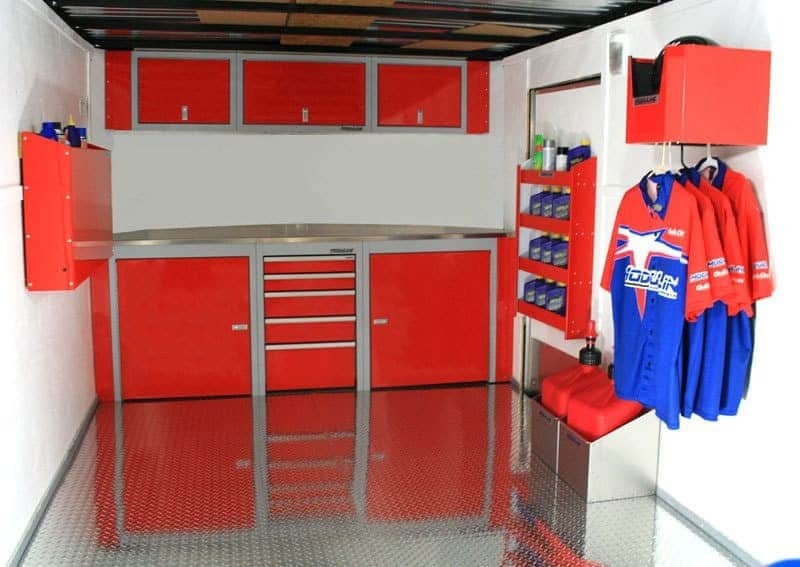 Whether your passion is the track, the trails, or tools, having proper storage in your trailer can lead you to peace of mind or the finish line. Of course, cabinetry and storage options can be tough decisions. 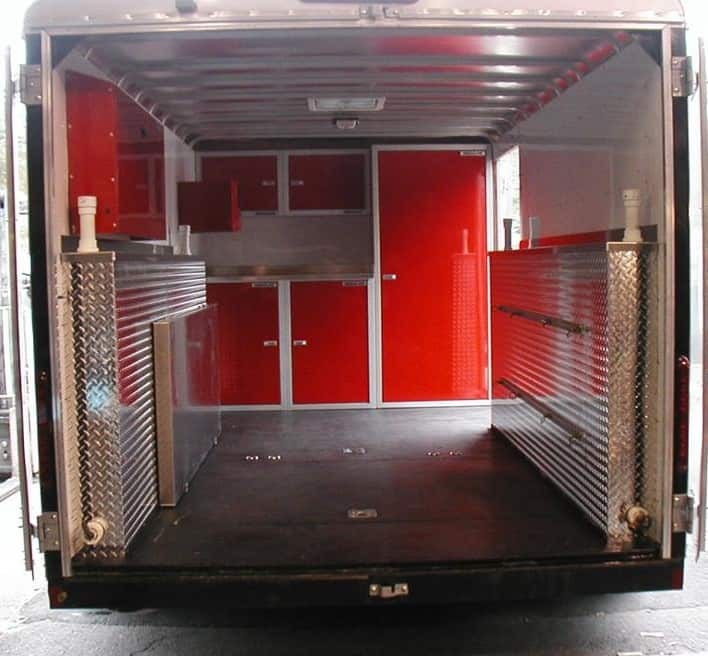 The usage of high alloy aluminum storage can protect your equipment while delivering lightweight, solid design that delivers quality and eye appeal. At Moduline, we offer a selection of fully customizeable and professional grade options as well as lightweight options with great value. The PROπ™Series of Cabinets are designed to fit any trailer and workspace. Our professional design and usage of high alloy aluminum material will make your mobile application look amazing. Moduline Cabinets’ PROπ™ Series is fully customizable and is the flagship of our quality and craftsmanship made in the U.S.A.
Moduline premium PROπ™Aluminum Cabinets come with a lifetime warranty and are designed to withstand moisture and resist deterioration and damage. For those not wishing to splurge on professional grade design without jeopardizing quality, Moduline offers our Sportsman II™ Series. SPORTSMAN II™ comes with many of the same great features of our PROπ™ line. These cabinets are more budget oriented without sacrificing the professional quality and utility Moduline is known for. Moduline also features V-Nose conversion kits for trailers. Minimum assembly is required allowing for easy shipping with all assembly hardware included. SPORTSMAN II™ also comes in preconfigured and component combinations making your choice as easy as buy, ship, build, DONE! At Moduline, we build our products to be versatile, customizable, and to last. 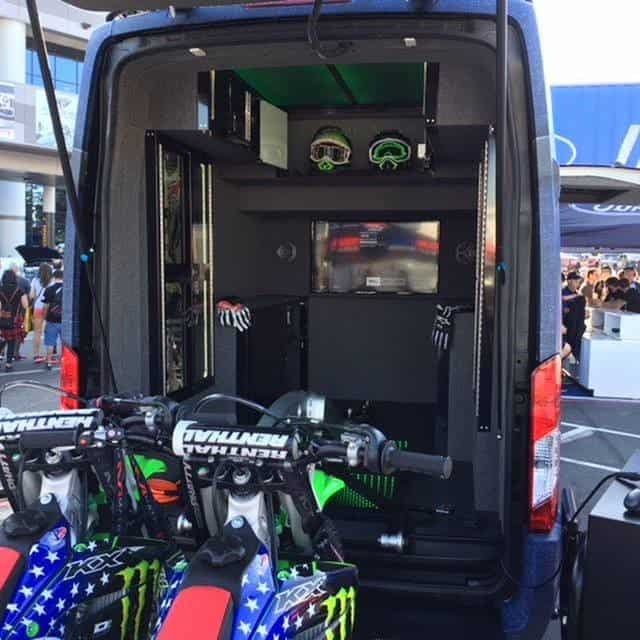 Our mobile storage solutions can serve for race trailers, military and emergency response, mobile command centers, specialty and utility vehicles. Contact our design specialists at 888-343-4463 to get started with a design consultation or to address questions you may have for your mobile storage.